Canadian Silver Maple Leaf is an exemplary coin that is preferred by the majority of investors and collectors. 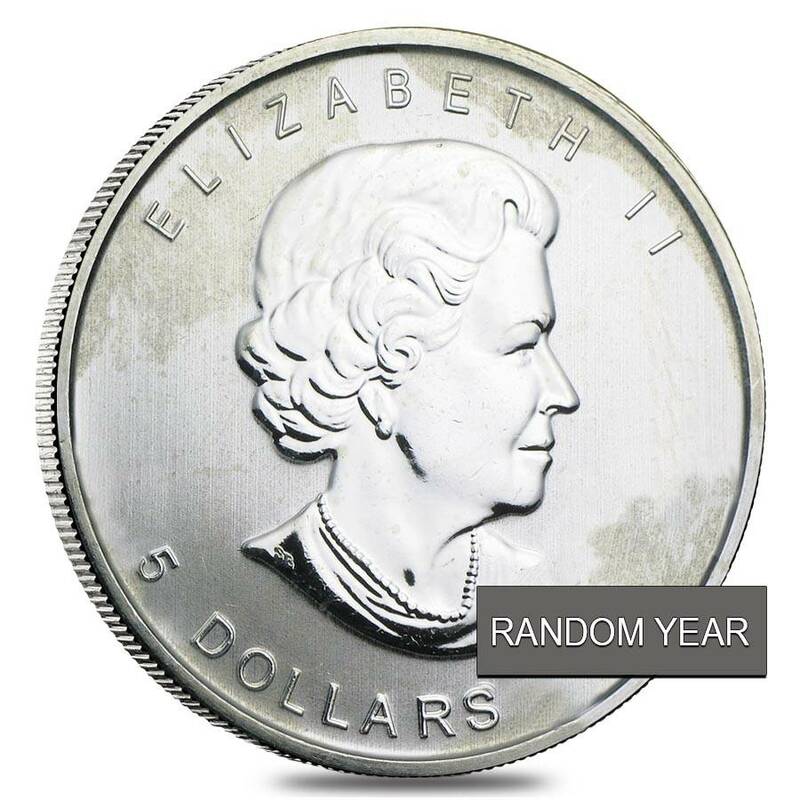 The coin was first minted in 1988 at the Royal Canadian Mint which has a reputation for quality products and is a world renowned facility. The coins in their cull condition are the most inexpensive way to invest in Canadian Silver Maple Leafs. Milky, Cull, Damaged, Circulated, Cleaned Condition. Reverse: Features Canada’s national symbol, the Maple Leaf along with weight and purity. Individual coins are shipped in protective plastic flip. Multiples of 25 are shipped in protective plastic tubes. Legal tender issues of Canadian Government. They are minted at the reputed Royal Canadian Mint and are backed for their content, weight, and purity. The cull coins may have lost some of their numismatic value, but they still are made of .9999 fine silver. Cull coins are an inexpensive way of adding silver to your investment portfolio. These Canadian silver coins provide easy liquidity. 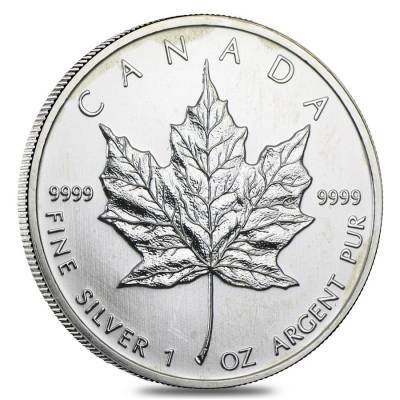 The Canadian Silver Maple Leafs are a highly popular investment grade bullion coin. The Canadian Government has given it the legal tender status so that countries from around the world can purchase these coins. The coins are minted at the reputed Royal Canadian Mint an institution more than 100 years old. A Canadian Silver Maple Leaf can be expensive in its pristine condition. The condition of the coin becomes extremely important when a person is planning to have a collection of these coins. The numismatic value of the coin becomes very indispensable. However, for investors, the numismatic value might not be of that much importance as they are more interested in the amount of precious metal that is present in the coin. 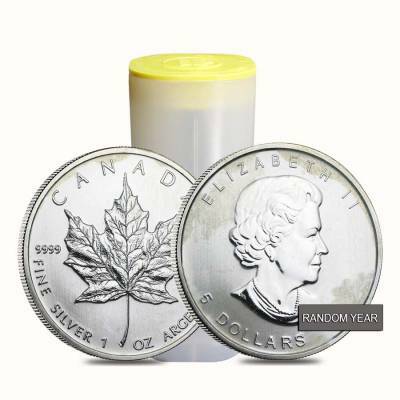 Canadian Silver Maple Leaf is one way to lay your hands on extremely pure silver. These coins are made of .9999 fine silver which is one of the purest amounts of silver available. So for those who are interested in investing in silver rather than collecting, it is a wise decision to go for Canadian Silver Maple Leafs in cull condition; a coin in very poor numismatic conditions. The cull coins may contain abrasions, dents, hole, pits, stains, milky spots, dark tones, bends, and any other kind of damages. Basically it is a coin that has not preserved its original strike quality. Along with these, the coins could be cleaned or retooled. Such coins lose their numismatic value and are considered unworthy of collection. However, they still contain the 1 oz .9999 fine silver in them, and due to their cull condition, they are also sold at lesser premiums than coins that are in pristine condition. Hence the coins in cull condition are a great investment option at a very affordable price. A smart and a wise way to invest in precious metals like silver. Bullion Exchanges is pleased to offer the 1 oz Silver Canadian Maple Leaf (Milky, Cull, Damaged, Circulated, Cleaned) at one of the most competitive prices in the industry. Browse our vast collection of Canadian Maple Leaf Coin series now. Also check out our other collections of American Silver Eagles and Chinese Silver Panda. Feel free to contact us at 800-852-6884 if you have any questions in regards to any of our products.